Those persistent rumors, dating from last summer, which were even confirmed by Sony, that its 8MP camera sensors will find their way into the next iPhone, might turn out a tad overblown. The latest report on the state of the camera affairs for the iPhone to come is that the current Apple supplier OmniVision is getting the bulk of 8MP camera sensor orders, 90%, while the rest will go to Sony. This theory doesn't make much sense since we will have sensors with different characteristics, which could bring picture quality differences from one device to another, but still, this is just a rumor, and coming from DigiTimes at that, which is a hit-or-miss source. Nevertheless, we've come across this OmniVision/Sony split theory from at least one other analyst before. We should know where the truth lies around the end of the summer/beginning of fall, when the next iPhone is rumored to hit the streets. I love the 5MP camera it has right now, just wish they'd skip the 8MP and jump right into 12MP!! Now that would truly be awesome! dont you know apple? they wont release all high-end hardwares on 1 phone because they will lose something to brag about. they reserve upgrades to next devices. for example. 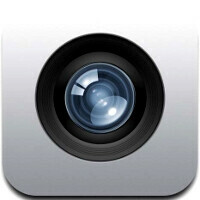 from the original iphone 2mp, then 3.2mp then 5mp. then 12mp? im sure theyll go for 8mp. so that the hype for 12mp will go to the next so that the phone wont get boring. they want to tell people that "oh we keep on upgrading our hardware" even though the hardware they use in their latest phones are outdated for other manufacturers. Knowing Apple, they'll want the best of the best; and just from this article it seems like it would the the 12MP camera from OmniVision. "best of the best"... is that why their devices are made in China, as are most of their products' components?